Here is another way of looking at how the Maplewood Market has performed this year. EARNEST $: Needs to start with a check made out to your ABR's Agency for what we call EARNEST $. This check is a key ingredient in that it validates your offer with the idea that $ is already behind it. This money, ranging from a minimum of $1,000 and up to $10,000, is deposited into a non-interest bearing escrow account and is “a part” of the total “cash” being put down toward your purchase. So if you are putting $50,000 down, you need to bring $49,000 more to fulfill the cash portion of your offer. TIMING: This is a tricky one. 1) CLOSING DATE: When a property is vacant, then a quicker closing time and a corresponding mortgage commitment date is usually much preferred by a seller. How long till you contractually project till conducting a home inspection can also effect a seller’s reception of your offer, the longer you wait when you know something could be found and then negotiated the more uneasy a seller may feel; conversely, a projected quick Home Inspection usually is an earmark for a quick close and that may work to your advantage, unless the seller isn’t looking for a quick close. So, it’s best to try to get some advance knowledge as to a preferred closing date in advance of writing your offer. 2) MORTGAGE COMMITMENT: A good lender can get you a mortgage commitment is as few as 14 days, provided you have quick access to all the necessary forms—tax returns, pay stubbs, etc. 3) My recommendation is to follow this pattern CLOSE/COMMITMENT (days/days): 30/21; 45/30; 60/40; 75/45; 90/60. i. HOME SALE CONTINGENCY: Do you have a property to sell before purchasing the one you are planning to buy? Having a home to sell will probably exclude you from consideration for a good third of all sellers; it can sometimes be offset with presenting a higher offer that helps to put the risk in proper context as if you don’t close on the property you are selling then the seller of the home you are trying to be will have held their home off market and jeopardized what they could eventually achieve with a sale. ii. MORTGAGE CONTINGENCY: if you need a mortgage to buy a home, there is nothing you can do to eliminate this contingency; it also can work as a safety check as an appraisal will have to be performed before you get your mortgage commitment and that will either attest to the fact that you paid too “little,” too much or just the right amount for your new home to be. iii. HOME INSPECTION: You have the right to hire a home inspector(s) to evaluate the home of your choice, you will want to inspect your roof, the stability of your construction, your electric supply and outlets, your plumbing where visible, your heating system, your hot water system, lead paint (see below) and wood destroying pests and animals. Most inspectors can cover virtually all of these aspects, or they can bring specialists in to augment their inspection. I highly recommend your Home Inspector have the ability to understand and evaluate the engineering aspects of your home as spending a little more up front can often offset a much more significant cost to bringing in an engineering specialist at a later date. iv. LEAD PAINT: If the home you plan to purchase was built prior to 1978, then you need to be aware that Lead Paint may have been applied to some portion/parts of your home at some point. As a result, you have the right to hire a home inspector(s) who can either perform a Lead Paint Test or a specialist to evaluate the home of your choice to make sure you don’t have easily accessible lead paint. Children can also send Santa letters and their wish lists this year and receive a letter in return! Mark your calendars, because Santa is coming to Montclair. 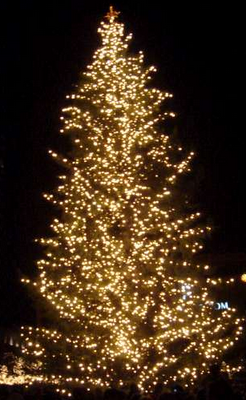 The annual holiday tree lighting in the Church Street Plaza will be held at 6 p.m. on Friday. 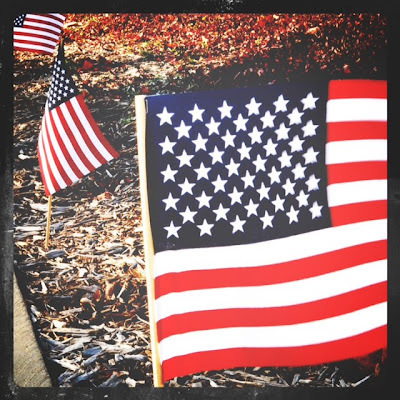 There will be music by the Montclair Community Band and plethora of fun winter entertainment. In addition, children (and adults) can have their picture taken with the man of the month, Santa Claus, for $3. Church Street will be closed to traffic starting at 5 p.m. on Friday. Selling a Montclair/Maplewood/South Orange/Millburn/Short Hills area home involves many steps and having an experienced Maplewood New Jersey Real Estate Agent and Realtor®, specializing in the Bedroom Communities of New York City in Essex/Union County— Millburn, Short Hills, Montclair, West Orange, South Orange, Livingston, Maplewood, Springfield, Summit, Madison, Chatham, Scotch Plains, Fanwood, Cranford and Westfield--by your side will make the transaction run a lot smoother. I would love to be your Maplewood/South Orange New Jersey Area Real Estate Professional! I assist both buyers and sellers in the Bedroom Communities of New York City, mostly served by NJ Transit’s Mid-Town Direct Train Lines, offering commutes of 45minute or less to NY Penn Station, with either the purchase and or sale of residential real estate. As your Montclair/Maplewood/South Orange/Millburn/Short Hills/Essex/Union County New Jersey listing agent I am well versed on as your local expert in all things in the Maplewood and South Orange area Real Estate Market. You can expect personalized service that includes a detailed consultation on how to best position your Mid-Town Direct home to be competitive in today’s market with training to provide my clients with an in-depth Advanced Comparative Market analysis, and advice on staging. As my office’s technology officer as well as both a Zillow Platinum Premier and Trulia Premier agent, I use the latest and most up-to-date marketing methods to get your home in front of as many buyers as possible. Being your New Jersey Real Estate Agent and Realtor ® not only involves just finding the home or selling the home, but being your guide, negotiator, advisor and advocate and making sure that your needs and goals are met. Being your New Jersey Essex/Union County area Realtor® (with a little bit of Morris County thrown in for good measure) is one of my truest passions, and “Helping You Find Your Dream Home” is my number one priority. The Tenth Muse Gallery – Shop Small and Save 25% off your entire purchase. Scrivener’s Toys & Collectibles - Pick-a-Prize Fishbowl; choose a card and get a 10%, 15%, 20% discount or a surprise gift. KoKoRo – Treats and special in-store promotions. Little One & Co. – Shop Small and Save 25% off your entire purchase. Alchemy Hour – Save 10% to 40% when you pick from the lottery at the register. Highland Place/Crane’s – FREE cocktail or bowl of soup when you bring a receipt from any participating retailer. Click! Tutoring & Learning Center – Free Play for children 0-5 from 2 – 4 pm in our kids corner and Free Tweens story writing workshop 4-5 pm. Special offer – The Get Writing Package of 2 writing tutoring sessions, any grade for $99.00. Words – Complimentary coffee and refreshments. Hopscotch – Spend $50.00 or more and receive $10.00 off your purchase. (personalization not included). Geralyn’s Art Studio – Special Art Store and Gallery featuring Cowgirl in the Sand merchandise and hand-made silver rings from Italy. Shed – Enjoy 10% of the entire store and refreshments when you shop small at Shed! Lotus Petals Floral Design – Holiday treats and 15% off the store, excluding fresh product. Bee & Thistle – 10% off on total purchase over $50.00. Village Wine Shop – Enjoy a Corzo Tequila tasting and snacks from 3-5pm. Maplewood Karate – FREE CLASS at Maplewood Karate, any program. Visit store for details. Baker Street Yoga – 10% off class packages on Small Business Saturday. Drop by between 12pm – 6pm. Annual Holiday Open House - Saturday, Dec. 1 from 11 a.m. - 5 p.m.
Extended holiday shopping hours during Moonlight Fridays in December. Also remember you can donate to or help out at the HK Project Hurricane Relief Donation Center at the Women's Club of Maplewood, and the Winter Coat Drive at The GenWealth Group. Don't forget the township's other great shopping destinations on Small Business Saturday, including Springfield Avenue, which Patch profiled earlier this week, and the Ridgewood Road shops (profile coming soon). Moving to Maplewood: Coming out of the (parent's) Woodwork, as the expression goes! There is a tremendous opportunity in this demographic and we believe that this opportunity will make itself available in the near future. The Opportunity: John Burns Consulting, in their newsletter this past December reported that there are nearly six million young adults between the ages of 25-34 living at home with their parents. This number represents almost a 50% increase from the four million living at home in 2003. Also Morgan Stanley, in their June edition of Housing Market Insights , explain that the biggest fall-off in homeownership rates occurs in the age group under 35 years old. This is an anomaly that we believe will correct itself over the next few years. The 5 Things You Must Do to work this demographic. Selling a Maplewood/South Orange/Millburn/Short Hills area home involves many steps and having an experienced First Time Home Buyer Agent for Maplewood New Jersey Real Estate, specializing in the Bedroom Communities of New York City in Essex/Union County— Millburn, Short Hills, Montclair, West Orange, South Orange, Livingston, Maplewood, Springfield, Summit, Madison, Chatham, Scotch Plains, Fanwood, Cranford and Westfield--by your side will make the transaction run a lot smoother. I would love to be your Maplewood/South Orange New Jersey Area Real Estate Professional! I assist both buyers and sellers in the Bedroom Communities of New York City, mostly served by NJ Transit’s Mid-Town Direct Train Lines, offering commutes of 45minute or less to NY Penn Station, with either the purchase and or sale of residential real estate. 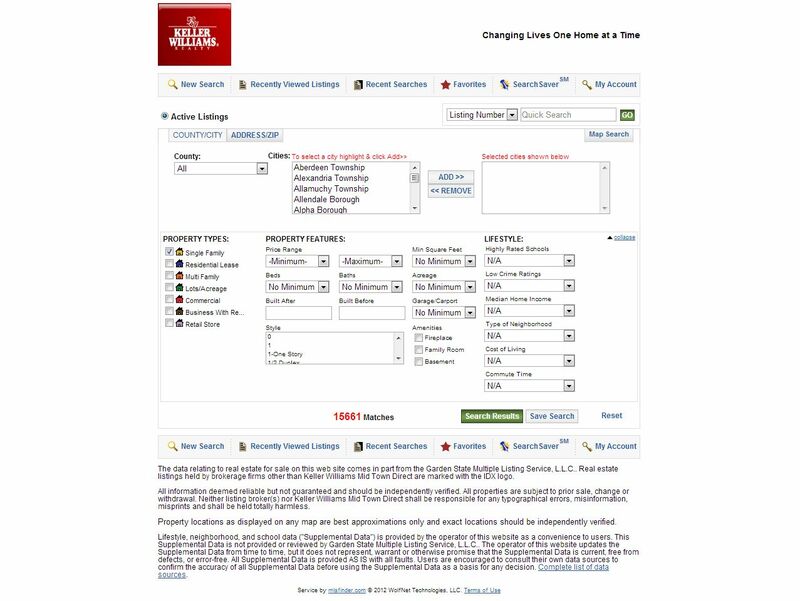 Moving to NJ: An Easier Way to Search For Homes! I have just upgraded to a new format to make things that much easier for your property searches. 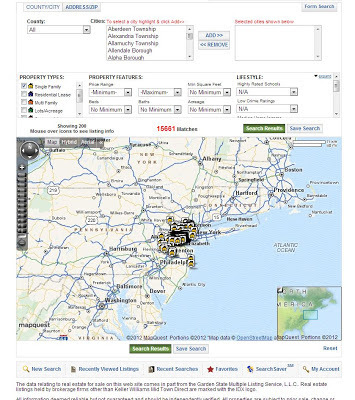 When you visit my www.Goodhomesforgoodpeople.com website you will be able to toggle between the map based search and the form search depending on your preference. 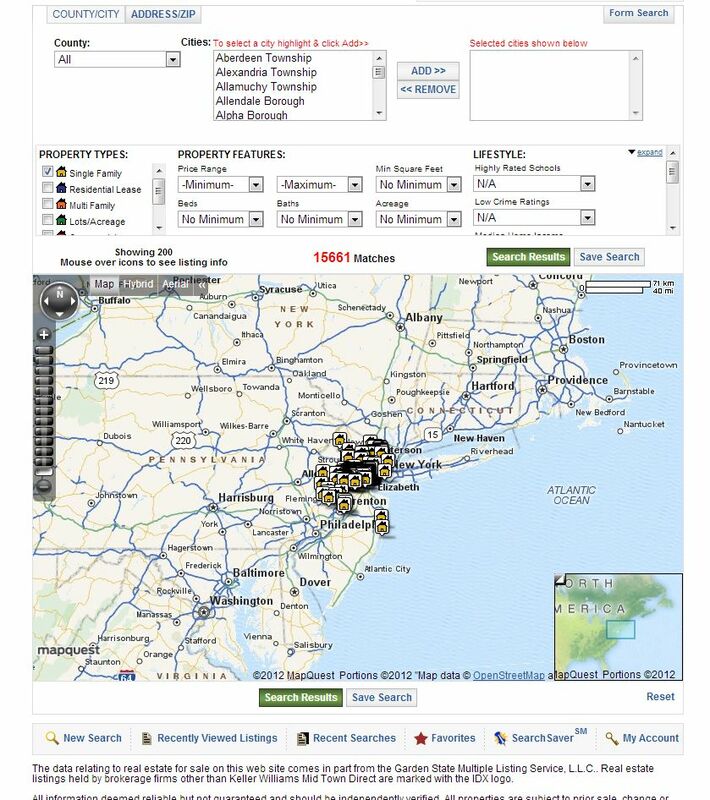 With the map based property search, it interacts with all search types and automatically zooms to the “best fit.” So for example, when a you choose certain search criteria, the map will dynamically generate the results based on the criteria. This is really helpful for my customers who aren’t very familiar (yet) with a certain area or those that know that they want to live on a certain body of water or in a certain neighborhood. Once you click on a listing from the map search, it will take you to the listing details page for that specific listing. On this page, you can view different points of interest that are located around the listing as well as aerial and hybrid views of the listing and street/house views. I hope you find this upgrade to your like and beneficial to your home search! "I plan on working hard so I can walk again," says Burbank, who will attend Saturday's "Ryan's Hope" benefit with his family. Earlier this summer, 18-year-old Ryan Burbank -- a Maplewood resident and son of the township's Director of Public Works, Eric Burbank -- broke his C5 vertebrae in a pool accident, paralyzing him from the chest down. As a testimony to our town, "There has been an amazing outpouring of support for the Burbank family from our wonderful community," said Janey DeLuca, one of the event's coordinators. Ryan recently agreed to submit to a Patch Q&A via email. Here are his responses. Can you fill us in on your progress since you have been home? It was an adjustment but it was and is good to be home. My friends are able to come and visit more easily. When I first came home I had home therapy which really was nothing like when I was at Kessler. It was mainly stretching and exercises to keep my muscles moving a bit. I recently started Outpatient therapy and it is intense but I love it. I have been out in the village which was fun. I was able to hang out with my friends and I got to see so many people who I haven’t seen since before my accident. I have gone to the park, and attended a few of Columbia’s home football games including the Homecoming game. It is really nice to see people who have supported me through this. I also went to a Rutger Football game and hung out with Eric LeGrand. What are the main challenges you are facing right now, and what are some things you think could make it a little smoother? Well, I am pretty much stuck on the first floor of my house. My bedroom is now where our living room was. My dad had my new room painted in the Dallas Cowboys colors by my uncle, cousin, and friends. We are adding a small addition to the house so I can have a bathroom on the first floor that will be wheelchair accessible. Some things that I used to do without thinking about now take a lot of effort and maneuvering, like opening the refrigerator. I can open it but I need help getting what I want. Changing the channel on the TV, normally we do without thinking about it. We synced my iPad that the Maplewood Lacrosse Club gave me, up to my TV and I can now control my TV. One thing I miss the most is being able to play xBox. A friend of my mother’s who is an Occupational Therapist and Assistive Technology specialist is working on adapting a paddle so I can try to play it again. One of the hardest things right now is not being able to go many places. One thing we hope to be able to get is a wheelchair accessible van. Then I’ll be able to do a lot more things and get out more. How did you and your family make it through the hurricane, did you lose power? Our family made it through it. My dad was gone for 2 days straight then worked from early morning till like 8 everyday since the storm and then 2 days straight with the snow and trees. The night of the storm, half of the tree in our front yard came crashing down and took out all the wires to the house. It was crazy. We lost power and it was out for seven days. The hardest thing was making sure my wheelchair and lift was charged everyday. And I was not able to go out because there were trees, branches and wires blocking the streets and sidewalks. What do you think about the event that is taking place on Saturday? The Tricky Tray on Saturday will be a lot of fun. I will be there. It is amazing that so many people in the community have offered their support and help. I appreciate all the support and encouragement from the community. It’s nice to know so many people care and want to help me and my family. Your dad said that you are a very strong-willed person with a lot of determination. How has that helped you to navigate this situation, and what are your goals for the future? I try to keep positive and know that I will walk again. This makes me work harder and when I have the slightest bit of improvement that just makes me work even harder to improve more. I plan on working hard so I can walk again. I hope to inspire others to never give up because with hard work and determination you can achieve whatever you set out to do. I just started to get control over my big toe on my left foot. So, if you haven't already contributed and/or you have and want to do more, please do! Between Black Friday and Small Business Saturday, local shopping is at its peak this weekend. Springfield Avenue is NOW the site of scores of bargains, events and special deals and great places to shop this season. A major improvement that has turned Springfield Avenue into a Destination. So, with Black Friday just a few days away, on Nov. 23, and Small Business Saturday the very next day -- the official kick-start to the holiday shopping season begins! As KnitKnack owner Meera Kothari Cho put it so eloquently on her website, "We are thankful to our Springfield Avenue neighbors who kept us fed, warm and stylish during a week when our home and business were shuttered (due to Sandy)." She singled out the Park Wood Diner (which remained open despite a lack of power), Pro Elite Nutrition (who kept churning out protein shakes) and Fringe (whose stylists kept cutting in the dark!) It's amazing to see what people can do for one another when put to the test! Luckily, the folks on the Avenue make it easy for shoppers, with a combination of superb and unique merchandise, friendly shopkeepers and a warm, down-home feeling. Shopping local never felt so good! Also, don't forget to check out the Gratitude Graffiti Project which is running in shops and restaurants throughout Maplewood until Thanksgiving. Shakti Yoga: on Thanksgiving weekend, this yoga studio will offer specials on class cards for new and returning students. Visit the website for more information. KnitKnack: the cozy and community-conscious knit store is donating 5% of its sales to the Red Cross for Hurricane Sandy relief between now and Thanksgiving. In addition, the shop is launching another food drive, requesting donations of non-perishable food to be distributed to local food pantries. If you order a gift certificate by Nov. 25, Parteaz is offering free wrapping and delivery. Here are some other offers: book a PJ Party for ages 6-12 and Parteaz will include pizza, an ice cream sundae Bar and cupcakes plus photos, or book a weekday party (Monday- Thursday) and take $100 off any package. Deposits must be received by November 25. Email parteaz4-8@verizon.net or call 973-447-0616. Piast, the Polish gourmet deli, has a varied selection of delicious meats for Thanksgiving, including Smoked Holiday Turkey. See the complete menu here. Edo's Cakes, one of my personal favorite places, will be open on Thanksgiving Day, for last minute dessert purchases. Keller Williams: Racking Up the Awards for A Great Place to Work! Want to "Broker" a home sale? This is the era of small business start-ups and a career in Real Estate may make the most sense if you have a love of people and a love of homes! I started my business about 3 years ago and was recently named the Keller Williams Tri-State's 10th ranked for unit transactions and with my closing last week, will have achieved Circle of Excellence Honors this year. So, with the current state of the real estate market, one of the most important decisions you can make is where to run your business. You can't afford to work with an office that is just going to throw you out there and wish you luck; you need the proper training and support from a broker that will be there when you need them and with a company that is Innovative--Keller Williams has been honored as such by Inman this 2011 and honored by JD Powers for service to both Buyers and Sellers in 2012. Keller Williams Realty is the best place to build a career in real estate. You will receive the best training taught by the top associates in your area, be given a proven real estate business model that works in every economy and have the complete support of a broker whose only job is to help you become a successful agent. Keller Williams is the only large real estate franchise growing in this recession, the only brokerage that is 100% debt free and the only firm that is profitable; you have to be at KW! Set up your interview today and grow your real estate career to the highest level possible! If you have any questions, i would be happy to help answer them! We recently moved our clocks back in most of the country to reflect the need to adjust our Daylight Savings routines. Now, just 2 weeks later, we are about to enjoy our Thanksgiving Holiday, hopefully with our families and/or friends and before you know it, we will be sitting and unwrapping our Christmas, Hanukah and Kwanza presents and toasting to 2013! Well, that brings us to the next big event and I don't mean the Superbowl, I mean Spring 2013 Housing Market. Believe it or not, if you are planning to sell or buy a home, you won't have very long to wait. NEED TO KNOW HOW MUCH YOUR HOME IS WORTH? WANT TO KNOW WHAT WE NEED TO DO TO MAXIMIZE SELLING PRICE AND MINIMIZE TIME ON MARKET? WANT TO START GETTING AN IDEA OF WHAT YOUR MONEY WILL BUY? There are four common mortgage refinance programs for which home appraisals are not required. The two most used program are the FHA Streamline Refinance and the Home Affordable Refinance Program, which is more commonly called HARP. There is also the VA Interest Rate Reduction Refinance Loan (IRRRL) and the USDA Streamline Refinance. Because these four programs eschew home appraisals as part of the refinance process, they can be used by homeowners whose homes have lost value since the date of purchase and, with mortgage rates at all-time lows, demand for such loans has soared this year. The monthly savings are big, too. Homeowners refinancing via HARP are lowering their payments by 34%, on average, and many are doing it with low- and no-closing cost mortgages. Mortgages rates have been below 4% for more than a year. There are huge potential savings in a refinance to today's rates. Click here for today's mortgage rates. Of the four appraisal-less refinance program, the FHA Streamline Refinance and Home Affordable Refinance Program remain the most common. The two programs are similar in many ways, but key differences remain. The FHA Streamline Refinance is for FHA-insured mortgages only. There are no exceptions to this policy. The HARP program is for Fannie Mae- or Freddie Mac-backed mortgages only. There are no exceptions to this policy. The FHA Streamline Refinance program requires that FHA-insured homeowners make at least 6 mortgage payments on their current FHA mortgage before they're eligible to refinance into a new FHA mortgage. The HARP program requires that refinanced mortgages have a securitization date of no later than May 31, 2009. Your loan must be 42 months old to be eligible. The FHA Streamline Refinance program does not require verification of income, employment, or credit score, per official FHA program guidelines. Lenders sometimes verify one or all of these items. The HARP program does not require verification of income, employment, or credit score, per official program guidelines. Lenders sometimes verify one or all of these items. The FHA Streamline Refinance program allows 1 mortgage late in the last 12 months, but none within the last 3 months in order to be FHA-eligible. The HARP program allows 1 mortgage late in the last 12 months, but none within the last 6 months in order to be HARP-eligible. The FHA Streamline Refinance does not allow closing costs to be added to the loan balance. They must be paid as cash at closing, or paid by the mortgage lender on the homeowner's behalf. The HARP program allows closing costs to be added to the loan balance, paid as cash at closing, or paid by the mortgage lender on the homeowner's behalf. The FHA Streamline Refinance allows for unlimited loan-to-value on all mortgages. The HARP program allows for unlimited loan-to-value for fixed-rate refinances. ARMs cap at 105% loan-to-value. The FHA Streamline Refinance has a two-tiered mortgage insurance premium (MIP) system. For 30-year fixed rate mortgages, MIP rates are as low as 0.55% annually, and as high as 1.50%. Tiers are different for 15-year mortgages. The HARP program does not require new mortgage insurance coverage, regardless of LTV. Existing mortgage insurance, however, must be replaced using the same "coverage level". The FHA Streamline Refinance is for rate-and-term refinances only. Cash-out mortgages are not allowed. The FHA will not allow you to shorten your loan term unless your mortgage payment drops 5% or more. The HARP mortgage program is for rate-and-term refinance only. Cash-out mortgages are not allowed. The program encourages homeowners to shorten loan terms to 20- and 15-year fixed rate mortgages, offering more lenient approvals. The FHA Streamline Refinance assigns the home's purchase price as the its appraised value, irrespective of the home's fair market value. No appraisal is needed. The HARP program may require an appraisal, but the value is ignored. Values are assigned via an Automated Valuation Model (AVM). If you've been waiting for low mortgage rates to refinance, it's time to get started. The national economy is improving and the forces that pushed rates down are beginning to subside. 2013 may be a rough year for rates. Dan Green (NMLS #227607) is an active loan officer with Waterstone Mortgage. Email Dan at or click to get a free, no-obligation rate quote. The sales-to-list price ratio for distressed properties increased significantly in September, according to the latest Campbell/Inside Mortgage Finance HousingPulse Tracking Survey. Move-in-ready REO maintained the highest sales-to-list price ratio, increasing to 97.2% in September, based on the three-month moving average. That was up from 96.5% in August and 95.3% in April. Other distressed property types have shown similar increases during that time. The highest sales-to-list price ratios are seen in Arizona, California and Nevada, where the ratios were 98.9% in September, based on the three-month moving average. The number of offers for damaged REO properties has surged in 2012, according to the latest Campbell/Inside Mortgage Finance HousingPulse Tracking Survey. In September, damaged REOs received an average of 4.4 offers, based on the three-month moving average, up from 4.0 in August and 3.0 at the beginning of the year. Demand for damaged REOs is being driven by investors, though they have become frustrated because the supply of these properties has been limited. 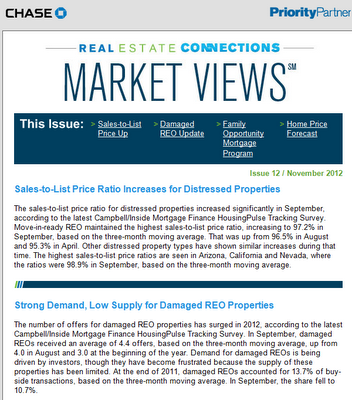 At the end of 2011, damaged REOs accounted for 13.7% of buy-side transactions, based on the three-month moving average. In September, the share fell to 10.7%. Selling a Maplewood/South Orange/Millburn/Short Hills area home involves many steps and having an experienced Maplewood New Jersey Real Estate Agent and Realtor®, specializing in the Bedroom Communities of New York City in Essex/Union County— Millburn, Short Hills, Montclair, West Orange, South Orange, Livingston, Maplewood, Springfield, Summit, Madison, Chatham, Scotch Plains, Fanwood, Cranford and Westfield--by your side will make the transaction run a lot smoother. I would love to be your Maplewood/South Orange New Jersey Area Real Estate Professional! I assist both buyers and sellers in the Bedroom Communities of New York City, mostly served by NJ Transit’s Mid-Town Direct Train Lines, offering commutes of 45minute or less to NY Penn Station, with either the purchase and or sale of residential real estate. I am also SFR certified and better qualified to assist you with your Distressed Property Business, whether on the Selling side or the Buying side of the equation. As an Accredited Buyer’s Agent (ABR), I have received special training to guide and educate you through the entire home buying process. From start to finish, I listen to your needs and desires in what you would like and take the information you give me to find you home. My GO-TO team can provide you the best in Real Estate advice with regard to attorney choices, Home Inspectors, Mortgage Loan Officers and highly qualified to help you with your purchase considerations for Distressed Properties--Short Sales, Foreclosures, etc. Beatrice Miller, the 13 year old singing sensation from Maplewood, NJ made it into the round of twelve on last week’s broadcast of The X Factor. Bea, as her family and friends call her, owned the stage that night showing the comfort of a seasoned performer as she wowed the audience pouring her heart and soul into her rendition of The Goo-Goo Dolls song, Iris. She made the whole state of New Jersey proud, showing America exactly what Jersey Strong looks like in person. Beatrice is an eighth grader at Maplewood Middle School with a penchant for poetry, music and friends. She is a former Girls Scout and MSO girls softball player who attended Tuscan school and was always in the show there. Superstorm Sandy made it difficult for Maplewood and South Orange residents to view her performances last week and this week with power outages at 60% and internet and cable outages as well. Nevertheless, Beatrice lit up the night and earned enough of America’s hearts to continue her journey. Hopefully after next week’s performance with so much power restored in the town and the state her fellow students, friends and Jersey residents will power up their Jersey Strong to help Bea get even better placing in the rankings by voting for her as their top contestant. Beatrice shared her thoughts after her performance on Wednesday, “I wanted to do my best for me and for my home state. I’m a Jersey girl who loves the shore and everything about my state. 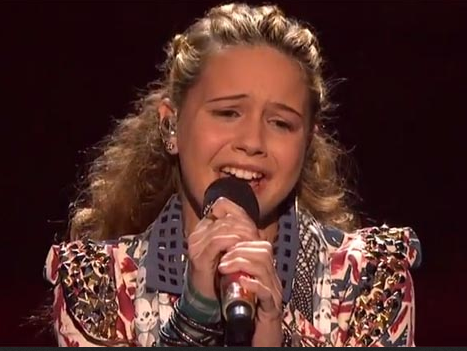 I was so sad to see the devastation that Sandy brought to New Jersey, but I know how strong the people in my state are and I wanted to be strong for them and give the best performance I possibly could as a tribute to them.” Show your Jersey Strong support for Beatrice Miller, tune in to THE X FACTOR next Wednesday, November 14th from 8 – 10 pm on the FOX network click here for the link or follow the on screen instructions to cast a vote (or many) for Maplewood’s own Beatrice Miller. 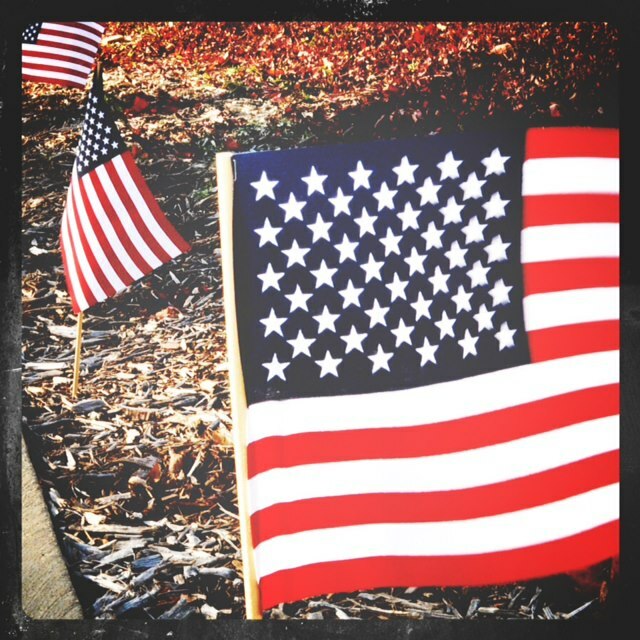 Today we should all reflect on what our Veteran's have done for us in protecting our FREEDOM! 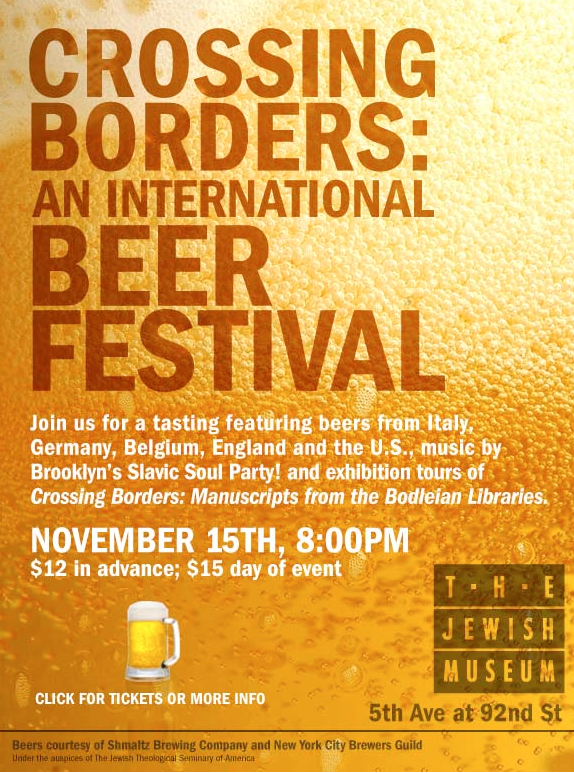 Crossing Borders features a superb selection of over fifty Hebrew, Latin, and Arabic manuscripts from the University of Oxford’s Bodleian Libraries, one of the world’s richest collections of manuscripts and printed books related to medieval European Jewish culture. The manuscripts, many of them exquisitely illuminated, illustrate the fertile exchanges among Christians, Muslims, and Jews in the fields of religion, art, science, and literature. Included is one of the Bodleian's greatest treasures: the magnificent Kennicott Bible. Many of the works in the exhibition are on view in the United States for the first time. A New Way to Get Into NYC from MAPLEWOOD!!! Service begins Friday; commuters can connect to free ferry service from LSP to Lower Manhattan. NJ Transit announced on Thursday an expanded plan to get commuters on suspended train lines into New York City. Beginning on Friday, Nov. 9, there will be a free shuttle bus service between Maplewood Station and Liberty State Park. From LSP, commuters can take free service between LSP and Battery Park in Lower Manhattan. 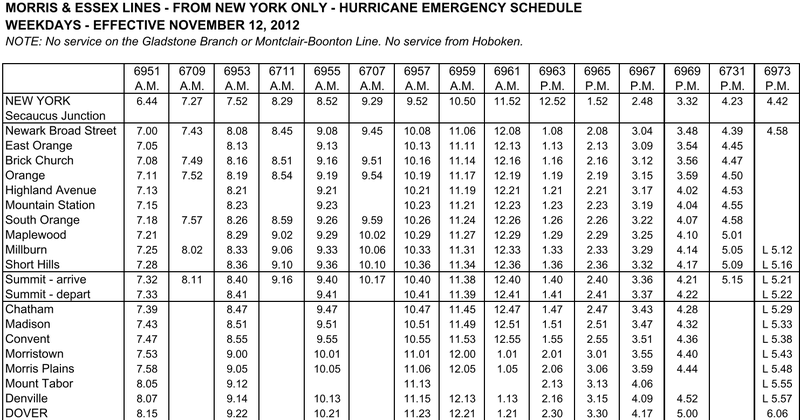 Trenton, NJ – As NJ TRANSIT continues recovery operations from Hurricane Sandy and a significant nor’easter storm, the Christie Administration has announced plans to provide more free shuttle bus/ferry service for the Trans-Hudson commute. 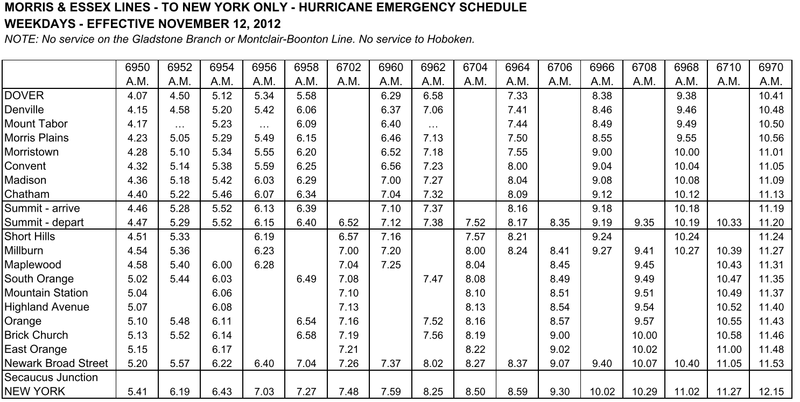 Free express shuttle bus service between Morristown Station and Weehawken Ferry Terminal. Free ferry service between Weehawken and Pier 79 at West 39th Street in Manhattan (Midtown Manhattan). Free shuttle bus service between Convent, Madison and Chatham stations and Liberty State Park (LSP). 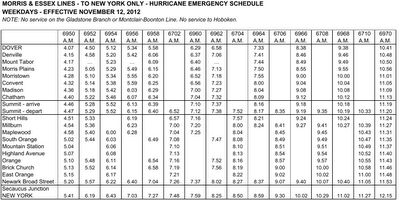 Free ferry service between LSP and Battery Park (Lower Manhattan). Free shuttle bus service between Maplewood Station and LSP. 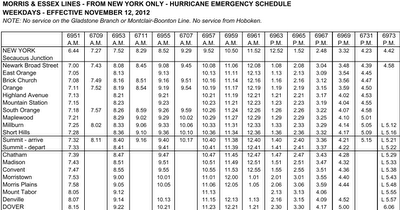 Free ferry service between LSP and Battery Park (Lower Manhattan). Author David Rothenberg’s multilayered life thrust him into Broadway’s brightest lights, prison riots, political campaigns, civil rights sit-ins, and a Central American civil war. In his memoir, Fortune in My Eyes , his journey includes many of the most celebrated names in the theater: Richard Burton, Elizabeth Taylor, Bette Davis, Sir John Gielgud, Charles Boyer, Peggy Lee, Eartha Kitt, Charles Laughton, Alvin Ailey, and numerous others. 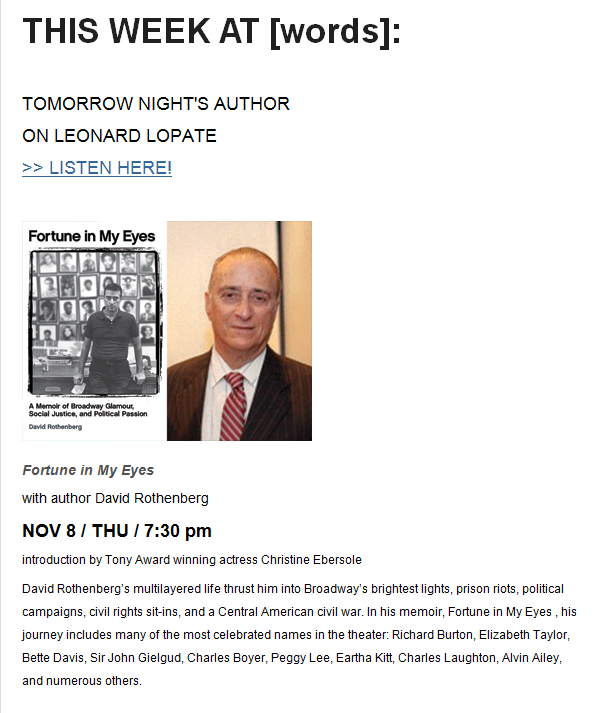 Come to hear Christine Ebersole's Introduction and David Rothenberg speak about his book. Vote for Maplewood's Bea Miller Tonight!!!!! Tonight on FOX is an all new episode of THE X FACTOR USA. On tonight’s show the Top 16 finalists will perform four America’s votes. On last week’s show was an emotionally charged tour-de-force. We lost four die-hard contestants to the crumbling cookie, including Willie Jones, David Correy, Diamond White, and Sister C.
The top 12 who will perform tonight are: Demi Lovato’s Young Adults – Jennel Garcia, Paige Thomas, CeCe Frey LA Reid’s Over 25’s – Vino Alan, Tate Stevens, Jason Brock Britney’s Teens – Beatrice Miller, Carly Rose, Arin Ray Simon Cowell’s – Groups – Emblem 3, Lyric 145, 1432. On tonight’s show the finalists, with the help of their mentors, take the stage once again. But this time, it will be up to America, as well as the judges, to decide who moves forward in the competition. Immediately after Wednesday’s performance show, fans will be able to vote via 1) Verizon Touch Voting on The Xtra Factor App on Verizon Android devices; 2) toll-free calling; 3) text messaging for Verizon Wireless customers; and 4) online at TheXFactorUSA.com. Fans with valid Facebook accounts can also vote at Facebook.com/TheXFactorUSA. 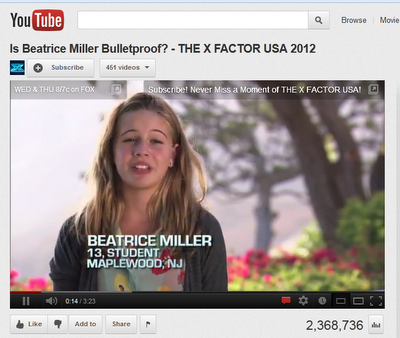 SO VOTE FOR BEATRICE TONIGHT!!!! !